Info: Created on 17th September 2012 . Last edited on 18th September 2012. Congratulations! FontStruct Staff have deemed your FontStruction worthy of special mention. 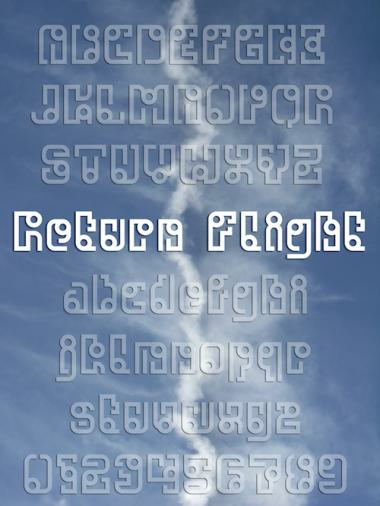 “Return Flight” is now a Top Pick. @ p2pnut, @ demonics, @ simin.msd: thanks for your kind words and support. @ Meek: thanks for the top pick! How creative! I'll use this alongside my "Thaiana Jones".